Twitch vs YouTube Gaming vs Microsoft Mixer: which streaming service is for you? Update: Twitch is attempting to solve the problem of overcrowded chats on its videos by introducing a new feature called Rooms. Before now, chats on streams were held in single channels. If you've ever been on a busy Twitch stream, you'll have seen the chaos that could arise – between abuse, questions, compliments and several conversations taking place at one it could be hard to keep track. Rooms splits the chat stream into individual, well, rooms. Streamers are able to open rooms on their chats and invite people into them which should make things easier to manage. We have come a long way from gaming being a solitary 'best-enjoyed-in-the-dark-whilst-wearing-one’s-luckiest-pants' hobby. Now, it’s a hugely popular social experience accounting for incredible amounts of web traffic with millions of people not only playing online together, but watching other people play via online streaming services. Thanks to video game live streaming services, gamers can now broadcast their play sessions to those that wish to watch them and interact with them too. Live streaming is one of the biggest things happening in gaming right now alongside eSports, so big in fact that some of the most popular streamers are able to make a decent living from it. As video game streaming has become more popular, though, the number of services facilitating it has naturally increased. Now there’s more than one place you can go to watch and broadcast live video game action. But which is best for you? 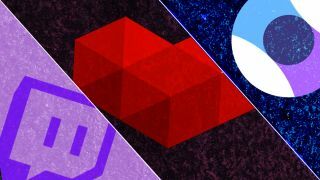 We’ve delved into the features of three of the biggest video game live streaming services (YouTube Gaming, Twitch, and Mixer) to weigh up the good and bad points of each to help you choose the one that’s best for you, whether you’re a streamer or a viewer.